Papaya is a cerise-orange color juicy fruit; which is not only fragrant and delicious but also very healthy. It is a very famous fruit for hundreds of years; and was once called the “fruit of the angels” by Christopher Columbus. Papaya is a natural source of vitamins and minerals that are essential for the normal functioning of the body. It is famous for its luscious taste and sunlit color of the tropics and can be eaten as a fruit in the raw form, a smoothie, a milkshake, or as a vegetable in various recipes. 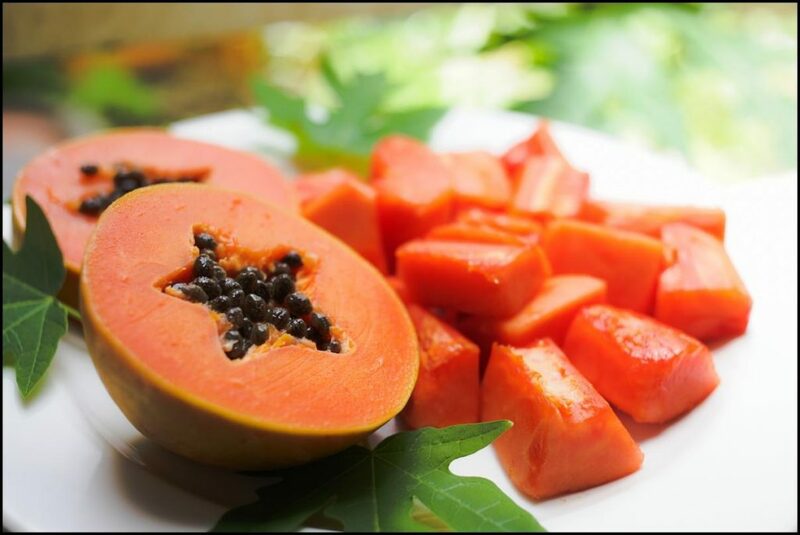 The pulp of ripe papaya fruit providing hydration and nutrition to the skin owing to its water, carbohydrate, and fat content. Please note for hydration of the skin, use the pulp of ripe papaya instead of the peel of unripe papaya.